As you browse this site we trust that you will find what Pinegrove has to offer you and your family. If you live in Muskoka or are visiting our area, we’d love to have you join us for worship and fellowship. 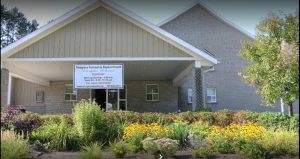 We are located at 295 Taylor Road in Bracebridge, Ontario (at the corner of Taylor Road and Pine Street) and look forward to welcoming you when you arrive. This website describes both our local and our online programs. If you have any questions please feel free to give us a call at 705-645-4771. We’d be pleased to speak with you.